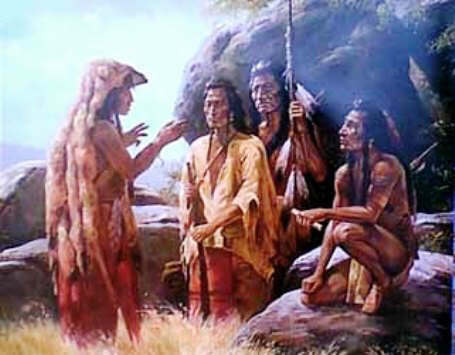 The Native American Story of the Nez Perces and the Poncas. Learn about the culture, stories, and legends of American Indians and their famous chiefs, tribes and wars. A Native American Story of the Nez Perces and the Poncas to teach kids about Native Indians in a short, enjoyable, easy to read format. His people needed rest—they wanted peace. With Chief Joseph there surrendered four hundred of his people. It was General Miles's desire and Chief Joseph's fondest hope that, in accordance with the terms of the surrender, the Nez Percés would be sent back to Idaho—to the Wallowa Valley in North-eastern Oregon, their ancestral home. Instead, however, the terms of this surrender were shamefully violated. Joseph and his band—men, women, and children—were first taken to Fort Leavenworth and finally to the far-off Indian Territory, where, under the warmer climate, they speedily succumbed to disease. Here they regarded themselves as exiles, and in the first two years of their residence nearly one-third of the tribe died. There was a tinge of melancholy in their bearing and conversation that was pathetic. When they had surrendered, over one thousand of their horses had been taken from them and never returned, and of which Joseph said, only, "Somebody has got our horses." Joseph would never have surrendered if General Miles had not promised to send him back to Idaho. What a pity that these fine men and women were not allowed to return to their native Wallowa Valley, for which their hearts yearned and where they would have lived happy and contented! Joseph and his band, like all brave people, had great love of country and home, and they longed "for the mountains, the valleys, the streams, and the clear springs of water of their old home." Indeed, no people that ever lived had love of country more deeply rooted in their hearts than these Nez Percés. 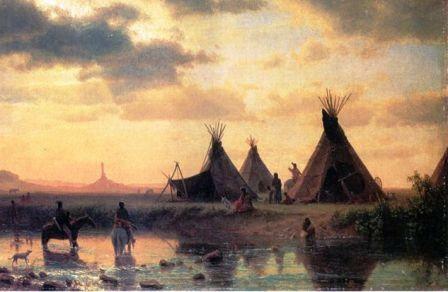 "In 1875 it was desired to push the Sioux Reservation eastward in order to wrest from them the gold-yielding Black Hills of Dakota; but the way was blocked by the small reservation of ninety-six thousand acres occupied by the peaceful Poncas, which lay directly east of the Sioux in the south-east corner of Dakota. Here they dwelt under a treaty of 1855, raised their crops, built their houses, opened schools, constructed a church, and prospered as much as the frequent raids of their neighbors, the Sioux, would allow. They represented probably the best results of the application of the peace policy to the savages, and it was once officially said of them that no Ponca had ever killed a white man. Yet on the chessboard of inland diplomacy they must be shifted hundreds of miles to the Indian Territory in order to allow the Sioux to occupy their position, and to make way for the miners and capitalists in the Black Hills. At the same time the Sioux, coming into possession of the tilled land, one hundred houses, and other property of the Poncas, would receive an impulse towards civilization. Congress at first made the consent of the Poncas a condition of their removal; but when this could not be secured from the intelligent Indians by the usual promises, Congress ordered their unconditional removal and permanent location in the Indian Territory. The Native American Indian Story of the Nez Perces and the Poncas provides an opportunity to read about the life and times of Native American Indians and many of their great wars, chiefs and famous leaders. A Classic Short story about Nez Perces and the Poncas for kids and children of all ages. This short Story of the Nez Perces and the Poncas is great to read to kids and children enabling them to learn about history in a fun way. This very short story contains information about the famous chiefs of Native Indian tribes and their wars, battles and conflicts. This short Native American story has been selected to keep the attention of kids and children of all ages. Read our free short story online about Nez Perces and the Poncas. This free, online short story about the people of famous tribes Native American Indians to increase knowledge and understanding of the indigenous people of North America and the wars and battles they fought. The Story of the Nez Perces and the Poncas. Discover the vast selection of pictures which relate to the Stories, History and Culture of Native Americans. The pictures show the clothing, War Paint, weapons and decorations of various Native Indian tribes that can be used as a really useful educational history resource for kids and children of all ages. We have included pictures and videos to accompany the main topic of this section - The Native American story of Nez Perces and the Poncas. The videos on this website enable fast access to the images, paintings and pictures together with information and many historical facts. All of the articles and pages can be accessed via the Native Indian Tribes Index - a great educational resource for kids.